In recent TKZ posts, Myers-Briggs has been mentioned by John Gilstrap and TKZ regular Eric Beversluis. Kathryn Lilley also talked about Myers-Briggs in this post from 2015. Which brings me to today’s discussion about how authors can use this personality test to build characters and foment conflict. Have you ever met someone and instantly disliked them for no apparent reason? Conversely, have you ever “clicked” with a stranger and didn’t know why? Have you ever been fired from a job or had to leave because of “personality conflicts”? Have you ended a relationship or been dumped because of different values? Do you have a hard time figuring out the needs, desires, and priorities (or lack thereof) of some people? Do people sometimes act in ways you can’t understand or justify? How about your characters? Do they struggle with the above issues? If so, that’s great because conflict is the mainstay of fiction. Myers-Briggs (MB) is a tool that can help writers answer these questions. 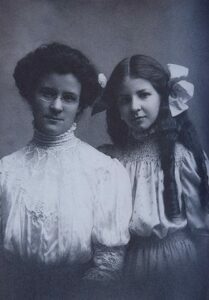 In 1923, the mother/daughter team of Katharine Cook Briggs (1875-1968) and Isabel Briggs Myers (1897-1980) became interested in the study of personality types based on research by Swiss psychiatrist Carl Jung (1875-1961). The two women developed the Myers-Briggs Type Indicator test that classifies the different ways people function in life. Their purpose was to help people make career and personal choices that best suited their individual personalities. The test has been widely used by psychologists and industry to put people in the right jobs based on their particular traits, as well as to improve communication between vastly different personalities. In other words, to solve problems. However, in fiction, writers want to create problems for their characters. If you understand why certain MB personality types clash with other types, you can use that knowledge to increase tension among your characters. With the MB test, let’s dig a little deeper into reasons why you instantly dislike a person or can’t understand why they act the way they do. Then we’ll extrapolate those reasons into opportunities to create conflict among characters. What are the MB components? Are you shy among strangers? Do you prefer to be alone in an interior world of thoughts and ideas? If so, you may be an introvert (I). Are you outgoing and like large groups of people? Are you interested in what’s happening in the big, wide world around you? If so, you’re likely an extravert (E). What happens if you take “I,” a shy character who avoids conflict at all costs, and force him/her to interact with “E,” a bold, boisterous character who loves to scrap? Do you draw conclusions based on hunches? Do you look below the surface to determine what is going on? If so, you’re probably intuitive (N). Do you use your five senses (sight, hearing, smell, taste, and touch) to observe the world around you? Do you like facts and figures? You might be sensing (S). Take “S,” a detective with the attitude if-I-can’t-see-it-it-doesn’t-exist. Add “N,” an intuitive who plays hunches and follows his/her gut instinct. Partner those two up and watch the fireworks. Are you logical and fact-oriented? You’re probably thinking (T). Are you in touch with emotions and driven by them? You’re probably feeling (F). Arrange a date between “T,” a logical, analytical woman, and “F,” a warm-fuzzy metrosexual. Lots of problems for that romance. Are you decisive and want things settled, organized, and clearly defined? Probably judging (J). Do you prefer to take things as they come, remaining open to new opportunities? Probably perceiving (P). If you instantly dislike someone when you first meet them, their four dominant traits may be the opposite of your four dominant traits. This doesn’t mean they’re right or wrong; they’re simply different ways in which you perceive the world around you. 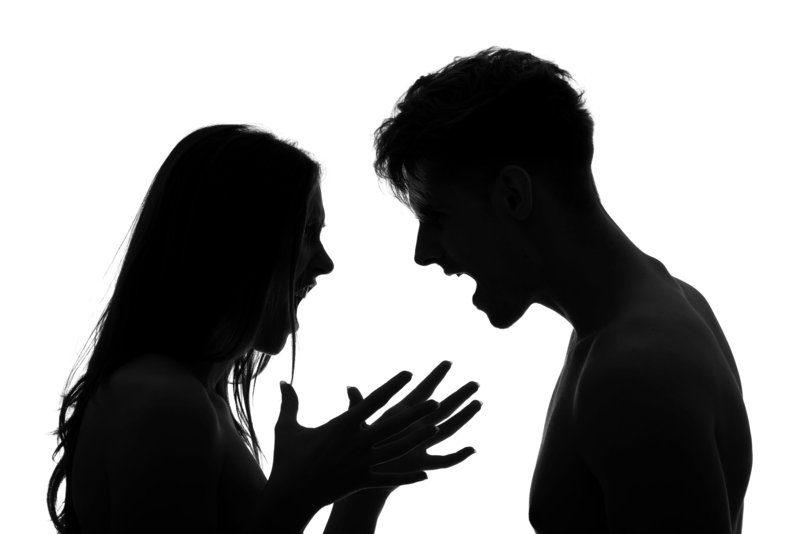 Here are a few examples to build personality differences into fictional conflict. An extravert “E” can’t understand why the introvert “I” wants to stay home rather than go out partying. “I” is sick and tired of being pressured to mingle with other people when s/he would much rather read a book. A sensing “S” doesn’t see why an intuitive “N” doesn’t act on facts that are as plain as the nose on your face. “N” trusts flashes of insight from the subconscious and thinks “S” is hopelessly unimaginative and dull. A thinking “T” has no patience for a feeling “F” who always gets upset over the stupidest things. “F” is constantly frustrated by “T” who never understands his/her feelings. A judging “J” is fed up with that loosey-goosey perceiver “P” who never plans ahead and flops haphazardly from one activity to another. “P” is annoyed that “J” is so rigid, inflexible, and set in his/her habits. If characters share the same traits, they may lack balance and believe that is the only way to be. For instance, judgmental J extremists convince their followers to condemn anyone who doesn’t share their beliefs. This manifestation brought Hitler to power. Feeling F characters can go overboard emotionally. 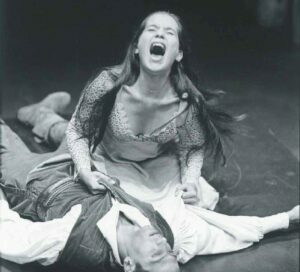 Because of intense feelings, poor Romeo and Juliet both end up dead. Personality traits run along a continuum. Some traits are well-developed and dominant; others are more subtle. Our job as writers is to combine dominant and subtle variations into unique characters who are not stereotypes. The opposite qualities may be fairly equally developed in the same personality. For instance, when I took the MB as a teenager, the result was INTP but T and F scores were almost equal, meaning I possessed an analytical, logical mindset (my husband would dispute that!) but was also highly emotional (that, he agrees with!). My Intuition N was well developed while my Sensing S scored low. That explains why I rarely notice someone’s eye color, clothes, or shoes, yet I know the depths of their fears and secrets. Underdeveloped S makes me a lousy eyewitness. What was the bank robber wearing? Huh? What did the getaway car look like? I dunno. Dominant traits can change with time and experience, giving your characters an opportunity to transform themselves. As a child, I was extremely introverted and shy. Due to career requirements, my extraverted side developed because I had to deal with people. Now, I’m no longer paralyzed with dread at a party. In fact, I thoroughly enjoy meeting new people at writers’ gatherings and book festivals. Not surprisingly, many writers fall into INFJ or INFP, a pattern Tom Kuegler explores in this article on medium.com. Try guessing the traits of your mate and your children; that obnoxious neighbor you don’t get along with; your annoying boss. You might gain insight into why they act the way they do. Then put your characters through the MB personality type test and use their traits to increase conflict among them. Now it’s your turn, TKZers. Using MB traits, which category does your favorite fictional character fall into? Who is the most memorable (not necessarily likable) character you can think of? Can you guess their category? How do their traits cause conflict with other characters? 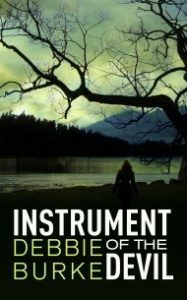 In Debbie Burke’s thriller, Instrument of the Devil, find out how the attraction between two INFP characters means trouble, while an ENTJ causes further complications. Instrument of the Devil is on sale for $.99 during April. Here’s the link.